A Christian worker who was dismissed from her job at Heathrow Airport has been granted permission to challenge a ruling by an employment tribunal which left her without any rights under employment law. Last year, an Employment Tribunal found that Nohad Halawi was not technically employed, so she had no protection under employment law, despite the fact she had worked at Heathrow for 13 years. But the Employment Appeal Tribunal in London has allowed this decision to be appealed. Mrs Halawi worked at a duty free shop at Heathrow Terminal 3. But management took away her ‘airside pass’ – meaning she was unable to continue working at the airport – after Muslim colleagues made unsubstantiated complaints about her conduct. Mrs Halawi had stood up for a Christian colleague who was being harassed by Islamist staff. She had verbally complained to management over personal abuse and harassment from Islamist staff members over her Christian faith. Last year, Mrs Halawi asked the Christian Legal Centre (CLC) for support and instructed leading human rights barrister, Paul Diamond, to represent her. 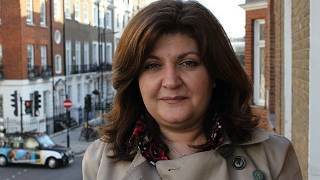 At the hearing in April 2012, the Employment Tribunal heard evidence that Mrs Halawi’s working patterns and performance were very tightly controlled by World Duty Free (WDF) and Caroline South Associates (CSA), indicating that she was employed. However, the Judge preferred the evidence of WDF and CSA, who argued that she was self-employed and therefore had no protection. The removal of her airside pass and loss of her employment was non judiciable. The case was then taken to the Employment Appeal Tribunal. Mr Diamond argued at the Employment Appeal Tribunal that Mrs Halawi was an employee under European law, and as such should be protected from discrimination. He also argued that the Employment Tribunal should have considered the relationship which existed between Mrs Halawi and WDF and CSA as the basis for allowing her to be deemed an ‘employee’, or a ‘worker’ under European law. Mrs Halawi’s case for unfair dismissal and discrimination can only properly be considered if she is found to have employment rights. The result of this Employment Appeal Tribunal hearing brings her a step closer to a thorough consideration of this. At the next hearing (date to be decided) the Employment Appeal Tribunal will consider her situation while she was working at Terminal 3 and whether she should be viewed as an employee by the law or protected as a worker. Then, depending on the result, she may be given another opportunity to explain how she was treated and the bullying she experienced at the hands of radical Islamist colleagues. “Nohad represents tens of thousands of people across the UK who work, in all but name, as ‘employees’ for companies and yet have absolutely no employment rights. This situation needs to be urgently addressed.